I begin by squashing the Murakami, my enemies to the north. 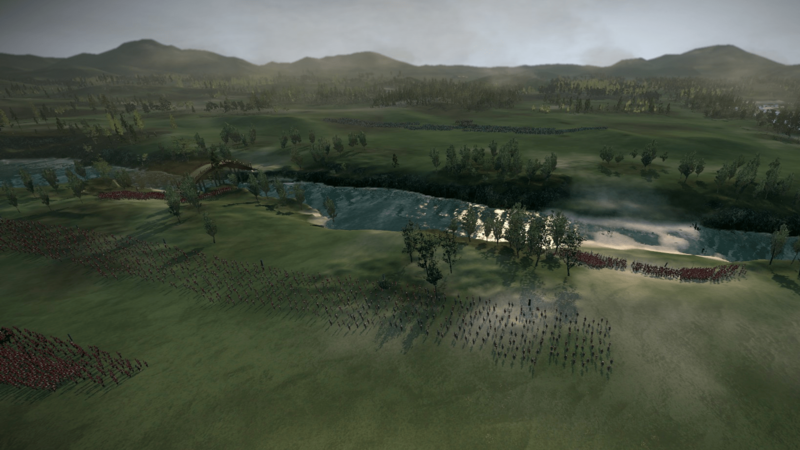 Their small army offers little resistance, and soon, Takeda Shingen has overrun North Shinano. The way north is now open! From bitter experience, I know that expanding any further north would be a terrible idea. North Shinano is a crossroads, connected to no fewer than five other provinces (including Kai). That’s five directions from which it can be invaded. Pushing in any one of those directions runs the risk of leaving North Shinano exposed to the others. Multiply this several times to imagine how much I raked in. Cash in hand, I invest in farms, markets, roads, and soldiers. For now, the Takeda domain is small; I intend that it should also be prosperous and well-defended. I avoid recruiting cavalry for now — another lesson from my first game. Instead, I recruit ashigaru, fighting men of common birth. 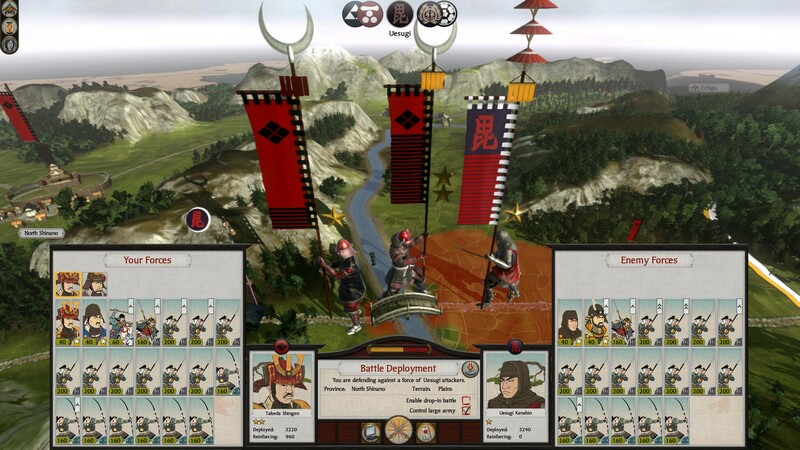 They lack the training and armour of samurai; they are also much cheaper and quicker to recruit. 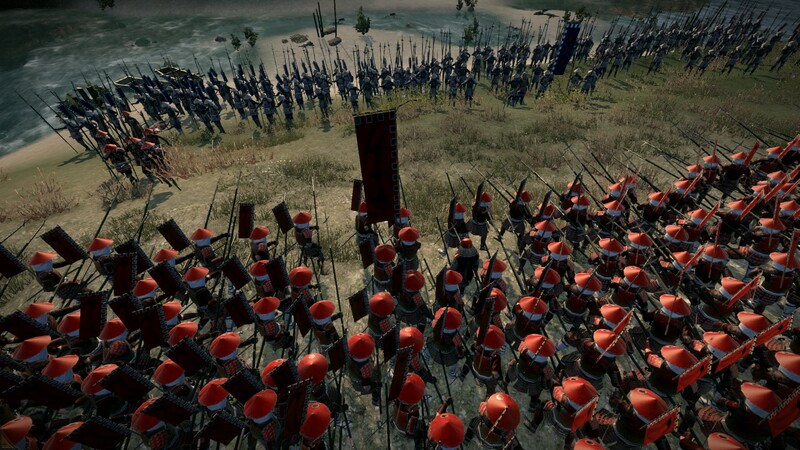 Equipped with a mix of yari (spears) and bows1, they will comprise almost all my army for this part of the LP. I settle down. I build my strength. I lay my plans: to march south, against the Hojo clan that now holds Musashi. 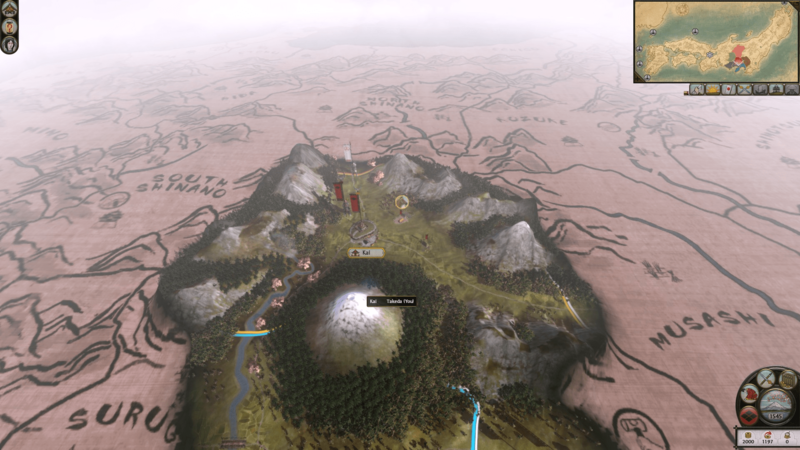 The Hojo provinces are a tempting target: one has a gold mine; another, an expert armourer. Normally the computer is shrewd about when to risk battle. This time, it’s a bit reckless. 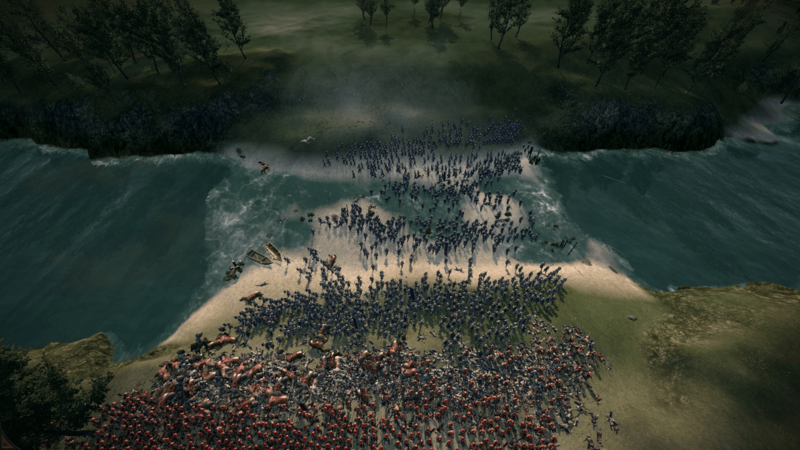 Our armies are roughly even in quality, I have the edge in quantity, and the river gives me the best defensive position this side of a castle. 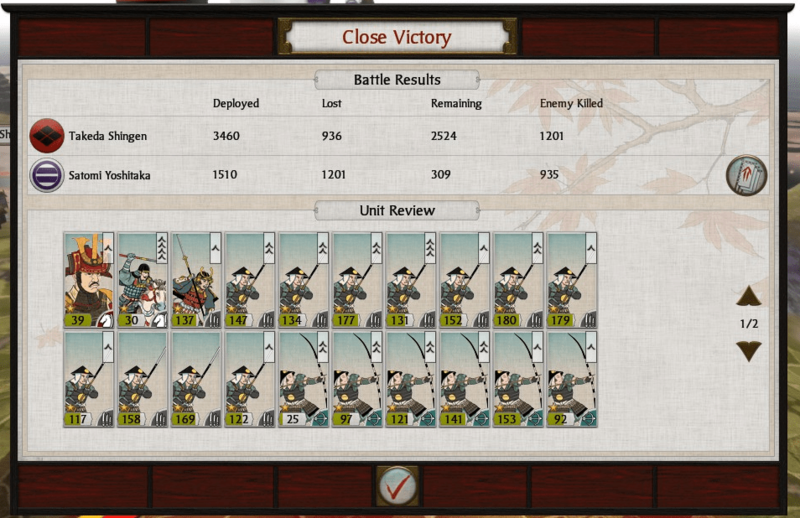 … and as the archers exchange shots, I see that the Uesugi are ahead of me in one regard. 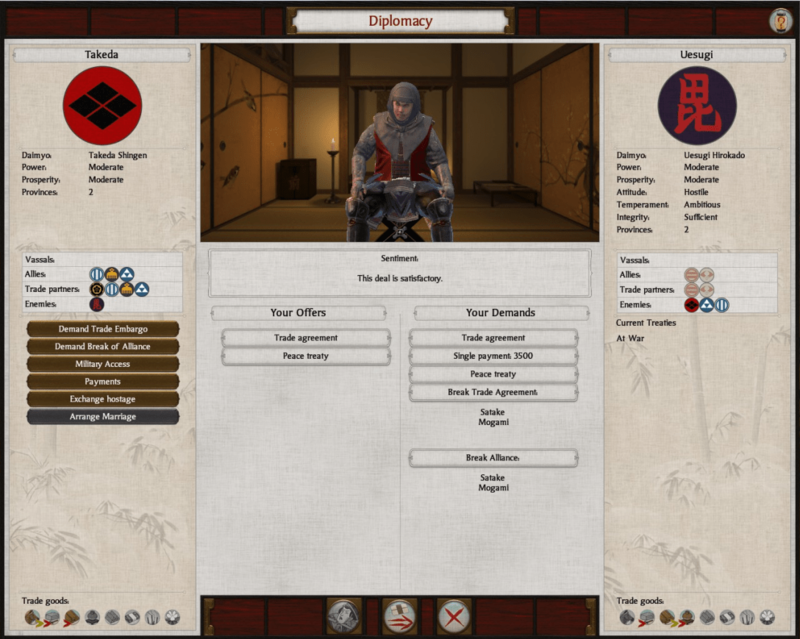 Shogun 2 has a research system, in which players unlock either economic boosts(such as better farms), or military boosts. 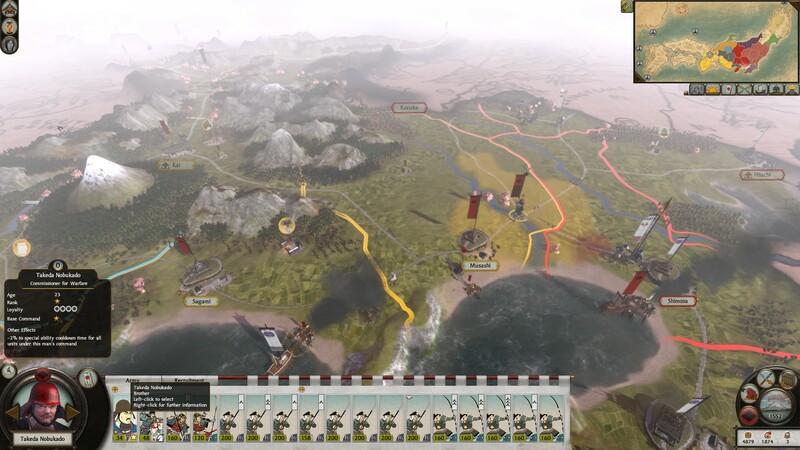 At this stage, I’ve gone 100% economic, whereas Uesugi has picked up archer bonuses, and his flaming arrows are chewing up one unit of my spearmen. Perhaps this was why the computer was so confident? 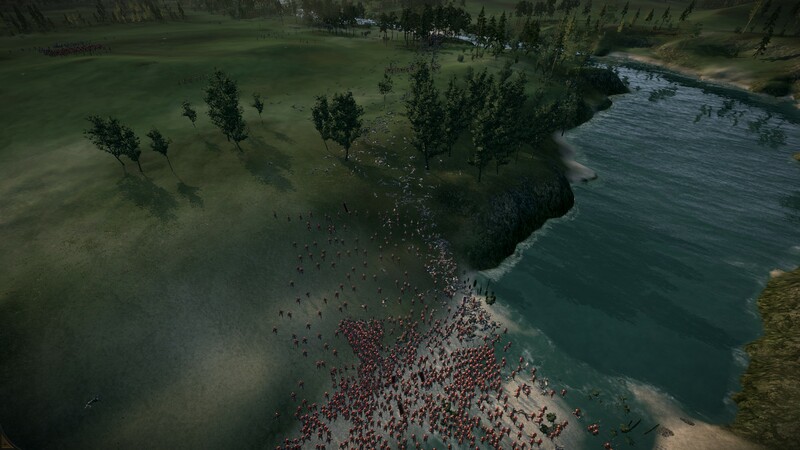 I grit my teeth, and order my men to spread out so they won’t make as easy a target for archers. 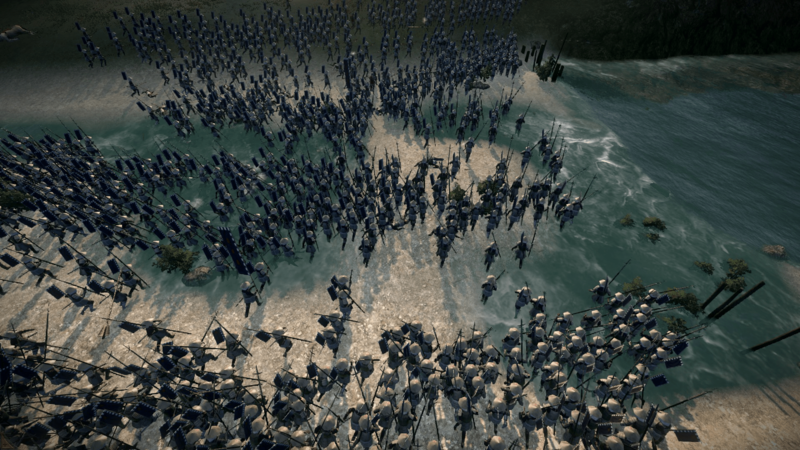 Next, I send my most depleted unit of spearmen towards the back. The other yari troops remain in formation, spears levelled. My northern border now secure, I plan my next campaign. With the south blocked off by my new Hojo friends, I plan to go west instead, against the Oda clan. The Oda have occupied South Shinano; my plan is to send my main army into South Shinano to drive Oda out, then march west until I burst into the rich territories of central Japan. Again, circumstances force a change. The fall of the Hojo clan is sudden: one turn, I notice that I no longer border them in Musashi. A few turns after that, I receive a message that they’ve been destroyed. Instead, I now share my southern/eastern border with two clans, allied to each other: the Satomi and Satake. Evidently confident after their blitzkrieg against the Hojo, the Satomi are quick to declare war against me. There lies danger — and opportunity. It’s back to plan A: marching south. 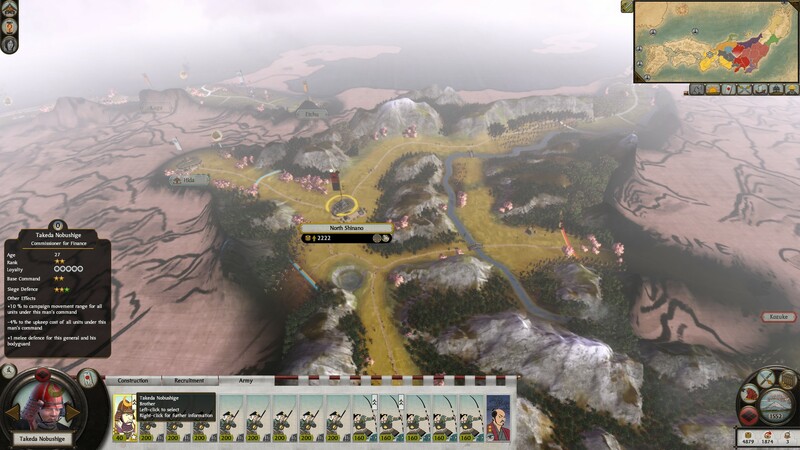 Leaving a holding force in North Shinano under the command of his brother Nobushige, Takeda Shingen takes the clan’s main armies southward, against the Satomi. The Satomi army is mostly samurai; mine is mostly ashigaru — and more than twice the size. 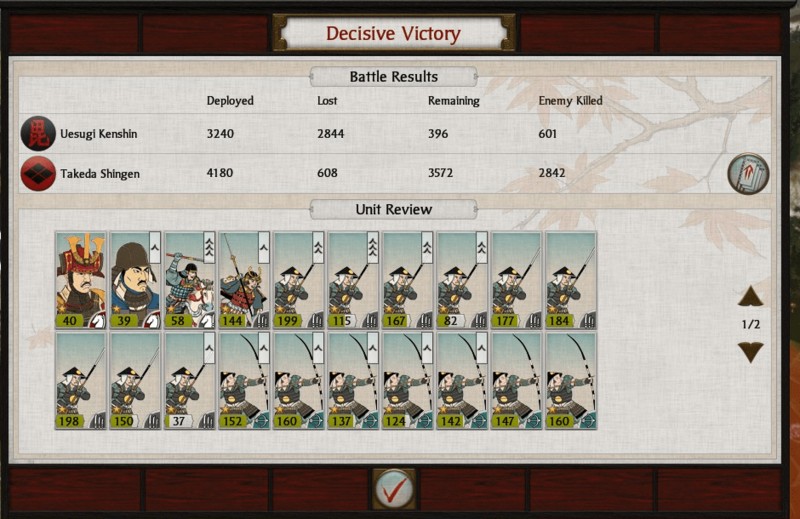 Samurai valour is little help when outflanked; after a pitched battle, the Satomi are broken. 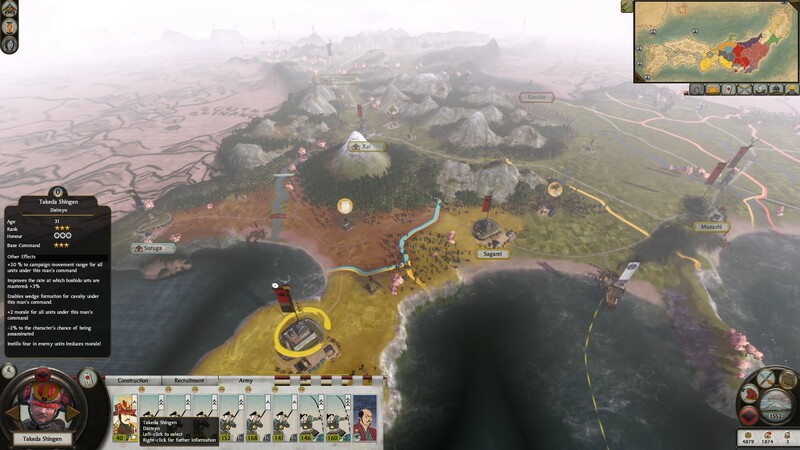 The south, with its armourer, gold mine, and ports, falls into Takeda hands. I dig in to consolidate my gains, while preparing for a renewed offensive against the Satomi and their Satake allies (who have just declared war on me). And I decide that makes a good point to end Part 1. Here is the situation in the north. North Shinano is defended by a largish army under Takeda Nobushige, Shingen’s brother. 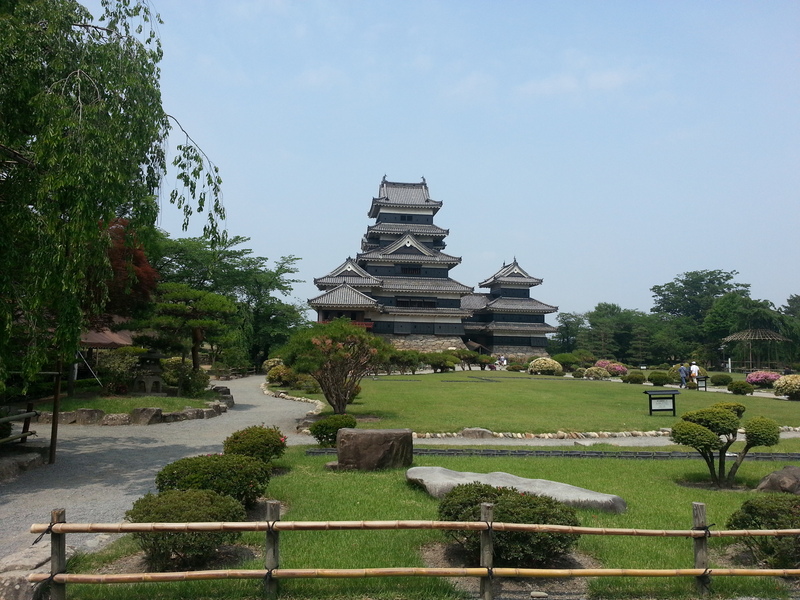 Hida to the northwest is held by a friendly clan. So is South Shinano to the southwest — my Imagawa allies conquered it from the Oda clan. The real dangers are the Satake possessions in Kozuke (east) and the sullen Uesugi in Echigo (northeast). Here is my southeast border. Musashi is my easternmost possession; the river crossing into the province is guarded by Shingen’s other brother Nobukado. To the east, my enemies the Satomi and Satake are massing troops for a rematch. Lastly, here is my southwest border. Shingen himself is in newly conquered Izu with a small army. The western border is safe for now, as Suruga is in the hands of the friendly Imagawa. This situation may change, if Imagawa is driven out. 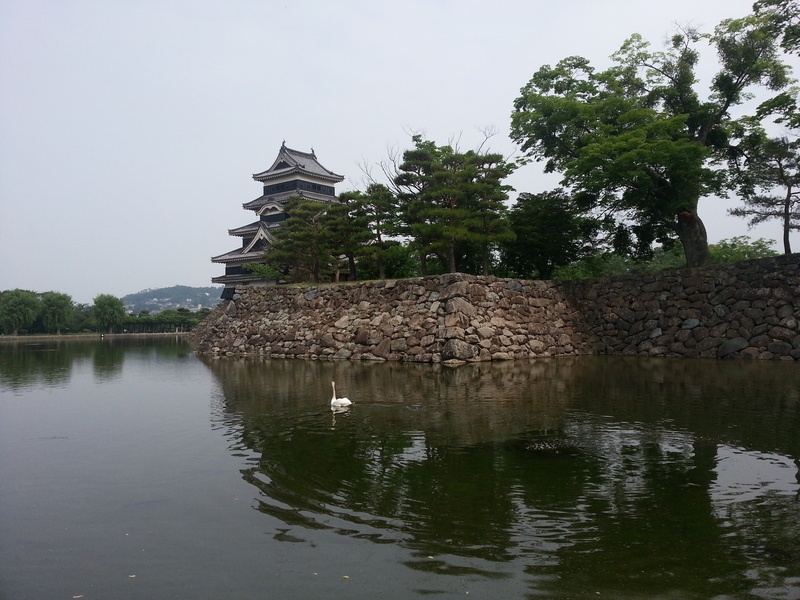 Finally, here are some bonus photos of present-day Matsumoto castle, in North Shinano. I’d like that moat the next time I defend a castle! 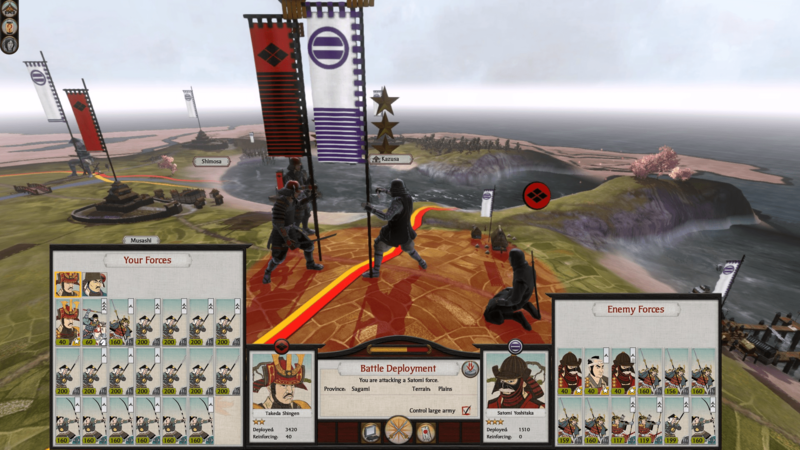 Frogbeastegg’s Guide to Shogun II is the definitive resource for the single-player campaign.